The Taiwanese representative in the Philippines left Manila in protest after 14 Taiwanese citizens have been deported to China. 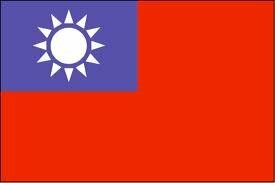 Taiwan on Friday refuted a claim by the Philippines that 14 fraud suspects recently extradited to China held no Taiwanese documentation. The suspects were among 24 alleged members of a telephone fraud ring which the Philippines handed over to the Chinese authorities on February 2 . Manila has claimed that there was no evidence any of them were Taiwanese. That claim was 'not factual,' said Donald Lee, who represents Taiwan in Manila in the absence of formal relations. He was speaking after he was withdrawn by Taipei in protest. Lee said his office had provided the Philippines authorities with copies of the visas the 14 were issued in Taipei, and of the Taiwan-issued passports in their names, in a bid to stop their extradition to China. 'Also, it was a request from the People’s Republic of China. We did not receive any request from Taiwan,' Edwin Lacierda said. But Lee said Friday that the Taiwan authorities had made repeated requests to have the suspects sent back to Taiwan instead. The deportation has prompted Taiwan to impose four-month delays on the screening of new work permits for Filipinos. On Thursday, Philippine President Benigno Aquino III said he was planning to send an emissary to Taiwan in a bid to fix the row. Manila cut diplomatic ties with Taipei in 1975 to recognize China but maintains close trade ties with Taiwan.